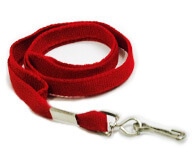 Satin Lanyards are a stylish and efficient way to hold your ID cards. 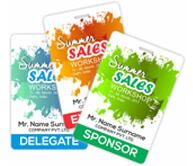 These are soft in texture, easy to customize and can be screen printed easily with your logo on them. Additionally, the satin cloth makes it both pleasing to the eye and comfortable to wear. 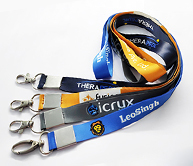 These lanyards are made by silk screen printing in white or black color and are made of satin which makes them highly durable. 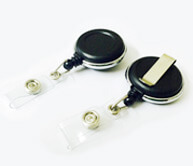 They are available in a range of colors including, blue, navy blue, maroon, black, orange, military green, and white. 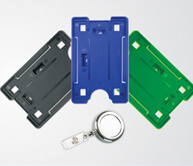 They are also equipped with dog hooks, or fish hooks for ease of holding your cards. 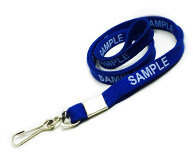 These Satin Lanyards take 2-5 working days to produce and print. 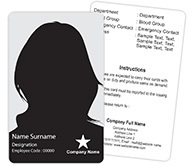 Quantity : Minimum 20 Pcs required for printing. Material : Satin 20 mm Wide and Length 36 Inches approx. Satin Colors Available : Blue, Navy Blue, Mehroon, Black, Orange, Military Green, Parrot Green White.